♥ Browsing the Field Museum Library’s Flickr stream and finding some beautiful old photos. 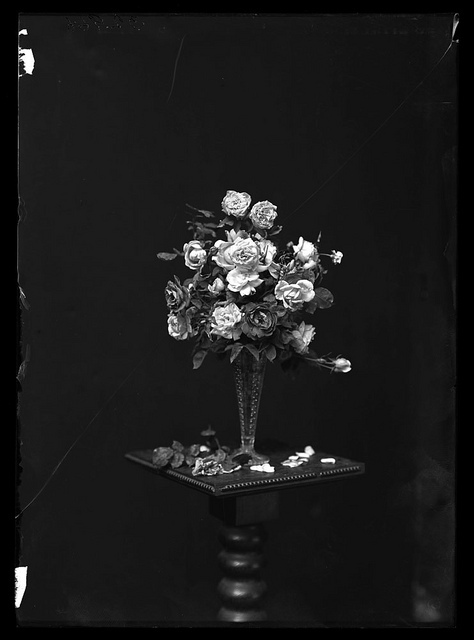 The one above, of Portland roses, was taken on during a botany expedition in 1910. ♥ Finding new dinner recipes to try on Foodily, a super smart recipe browser. I’m trying these spring-y nachos out Thursday night and I can’t wait! ♥ Hearing that the best rock venue in the world started a Tumblr. Can you imagine how much cool stuff in the archives they have to share? ♥ Learning how to drink like my favorite author. ♥ Plotting out when I’m going to make these scrumptious sounding blueberry cheesecake popsicles. Yum, yum. ♥ Dreaming about a retirement spent in the desert with a collection of huipils that rivals this one hanging on my walls. ♥ Crushing on Claudia Schiffer in the early ’90s. What a beauty! ♥ Trying out some new braided summertime ‘dos.